The Goodman Gallery (2.1/N12), showing in Art Basel this week, has found itself thrust to the forefront of a battle for freedom of expression in South Africa, after the government continued its campaign against a controversial painting of the country’s president, by slapping a “16N” rating on the piece, preventing those under the age of 16 from viewing it. Controversy over painting of South African president forces gallery to close its doors The Spear, 2011, by Brett Murray became the topic of international debate last month after the country’s ruling party, the African National Congress, and its president demanded the work be removed from display and from websites. 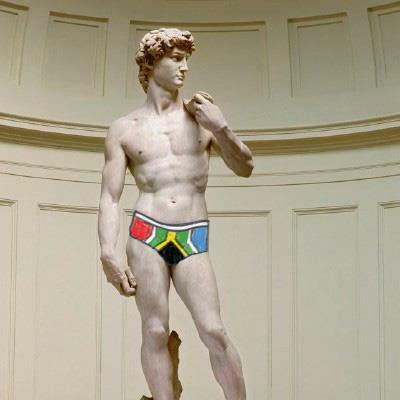 The work depicts the president, Jacob Zuma, with his genitalia on display. The gallery reached a settlement with the government on 29 May after it faced increasing pressure, including anonymous death threats to staff and a 5,000-strong march on its Johannes­burg space. “I refused to compromise on legislative or constitutional principles around freedom of expression,” says Liza Essers, the director of the Johannesburg- and Cape Town-based gallery. “While the painting had already been removed because of security risks, I didn’t mention taking it off of the website. Now that the Film and Publication Board has given it a classified rating, we have to remove it from our site or else we are committing a criminal offence.” She adds that while the controversy had not begun as a race issue, many people have said they were genuinely upset by the work and the “historical memories” [of the apartheid] that it evoked for some, which the gallery and artist apologised for in the official settlement statement. While the international art community rallied behind the gallery, those within South Africa remained relatively quiet. There are other threats to ­freedom of expression within South Africa. Last week, the widow of the anti-apartheid journalist Donald Woods told the UK-based Guardian newspaper that the government’s new protection of state information law, which curtails press freedom, was “more harmful than apartheid-era censorship”. While the bill and the censorship of The Spear are not directly linked, “both have potentially alarming implications for freedom of speech and artistic expression,” Brundyn says. Others are more forthright: “A Stalinist tendency is returning. The freedom won in the mid-1990s is now in the process of being lost as security, secrecy and conspiracy discourses are dominating new bills and laws, state attacks on artists, and the media and activists,” says Keyan Tomaselli, a professor at the University of Natal in Durban.